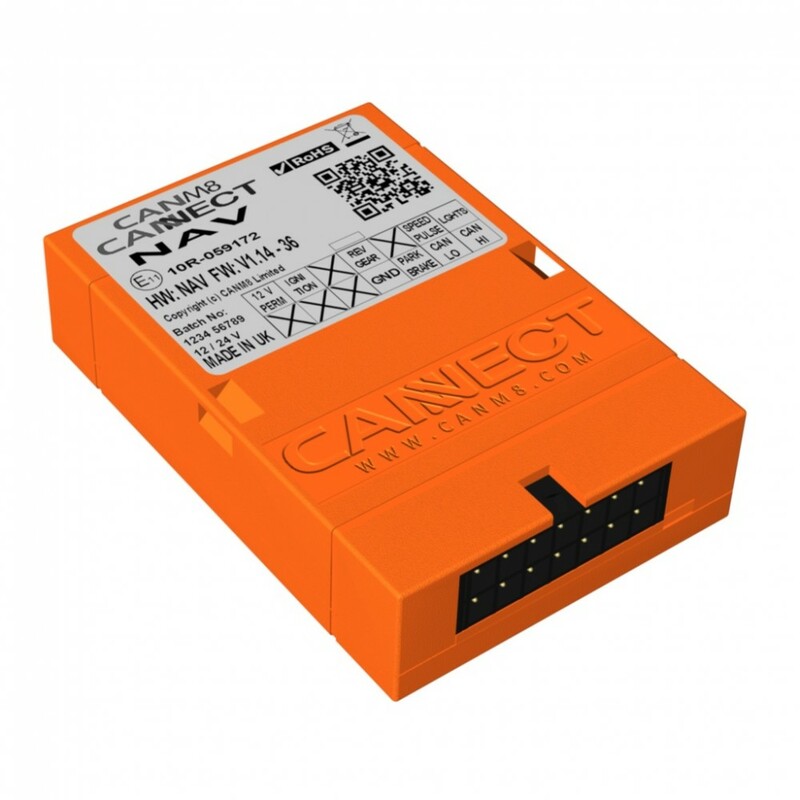 The CANM8 CANNECT NAV is a multi-output CAN Bus interface designed to provide a universal solution for installing after-market electronic products, such as navigation systems, to vehicles which feature CAN Bus wiring. The interface features "Key-In" detection with compatible vehicles enabling the ignition-on output to remain active when the ignition is turned off but the key remains in the ignition. Illumination > 12v (1A max) when the side lights are active. Park Brake > 0v (1A max) when the park brake is engaged. N.B. Illumination output is dependent on available vehicle data and may use dipped beam (if available). N.B. Park brake output is dependent on available vehicle data. The CANM8 CANNECT NAV is an ideal solution for use when installing navigation systems, car audio & entertainment systems, mobile phone hands-free kits, taxi meters and many other systems which require sensing of vehicle signals. Installation time is drastically reduced as instead of hard wiring into the vehicle to find all the different required outputs, this interface provides 5 of the most common outputs from a mere 4 connections to the vehicle. ORANGE > Illumination Output : 12v (1A max) when side lights are active. BROWN > Reverse Output : 12v (1A max) when reverse gear is selected. PINK > Park Brake Output : 0v (1A max) when the park brake is engaged. rect compatibility with our contact-less CAN Bus reader to enable connection to the CAN system without any metal to metal contact.